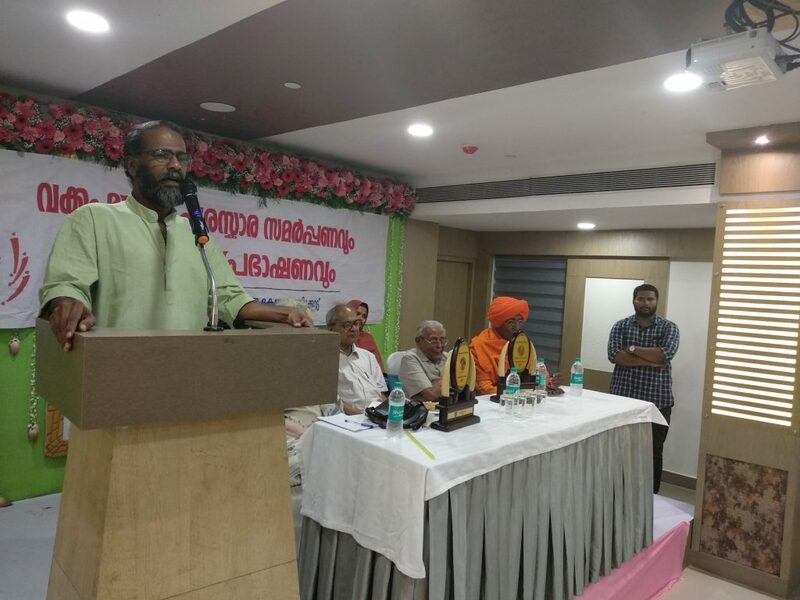 The reform movement carried out by Vakkom Abdulqader Moulavi is not much acknowledged in Kerala as the reformation in the state is considered mainly as related to the Hindu religion, said writer and cultural activist Sunil P Ilayidom. He was delivering the chief commemorative talk at the Vakkom Moulavi Memorial Award function held in Kozhikode on January 12. Ilayidom explained the various contributions of Vakkom Moulavi in the fields of journalism, popularising the Malayalam language, empowering women and women’s education, religious reformation within the Muslim community etc. He also cited the examples of reform leaders from the Muslim and Christian communities such as Hamadani Thangal, Sanaullah Makthi Thangal, Chalilakath Kunjahammed Haji, Chavarayachan etc to strengthen his view that reforms unrelated to Hinduism have been ignored in the state. The 4th Vakkom Moulavi Memorial Awards were presented to writer Sara Joseph and Justice PK Shamsudheen. 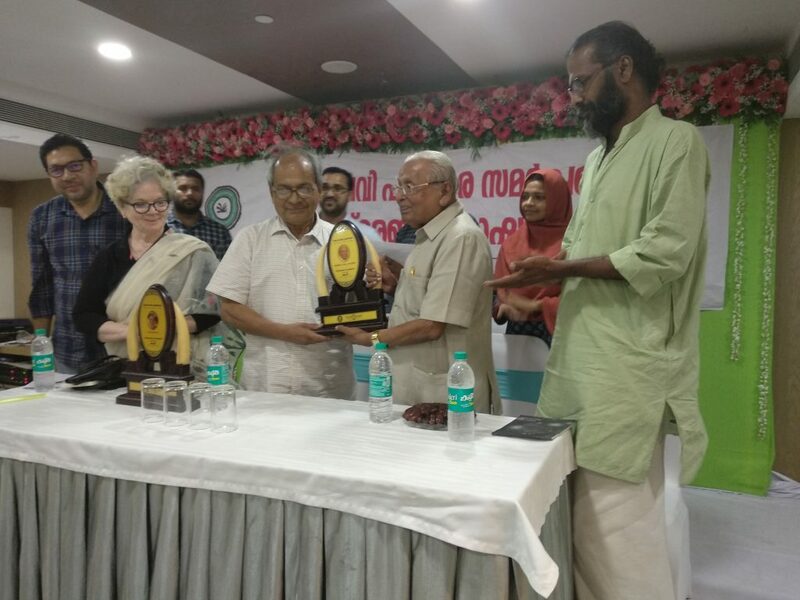 Writer Anand presented the awards comprising of memento and cash prize, organized by the Vakkom Moulavi Centre for Studies and Research, based in Kozhikode. The unexpected arrival of Swami Agnivesh at the venue was received with much awe by the audience and speakers alike. Agnivesh, who had been in Kozhikode, expressed his solidarity with the function and sat on the stage for some time before leaving. Presenting the awards, writer Anand shared his concern as to why the reforms that took place in the Muslim community in Kerala have not materialized into laws, while the Hindu community has something boast of in the matter. Justice Shamsudheen, Sara Joseph, Mujeeb Rahman Kinalur and Noora Vallil also spoke among others. Justice Shamsudheen retired as Chief Justice of the Kerala High Court in 1993. During his service and after, he was active in the progressive movements in the Muslim community in Kerala, and has been in the forefront to organize and promote seminars and programmes promoting progressive thoughts. He currently is a patron of the World Fellowship of Inter-religious Council, which he had helped found in 1981. Sara Joseph is an eminent writer and critic in the Malayalam literature arena. She has won several awards including the prestigious Kendra Sahitya Academy Award, which she returned in 2015 along with several others protesting against the intolerance and lack of freedom under the Modi Government. Vakkom Muhammed Abdulqader Moulavi (1873-1932), popularly known as Vakkom Moulavi, was a renowned social reformer, scholar, teacher, writer, journalist and newspaper proprietor in the state of Travancore in British India. He started the newspaper ‘Swadeshabhimani’ in 1905, with Ramakrishna Pilla as editor, and wrote without any qualms against the rule of the then Diwan. The newspaper was confiscated and editor exiled in 1910. He also ran a journal named ‘Al Islam’ in Arabi-Malayalam script, and ‘Islam’ and ‘Deepika’ in Malayalam. He was instrumental in the establishment of the ‘Kerala Muslim Aikya Sangham’, a united forum for the Muslims of Travancore, Cochin and Malabar, in 1922.